If the story is to be believed, there's some schadenfreude to be found in a tale that Sting tells about being booed the first time he performed at an opera house. It was in 1987, as Sting recounted recently, that he stepped onstage to sing 'The Ballad of Mack the Knife' with the Hamburg State Orchestra, and he noticed "a group of people, all with blue and gray hair, and jewels and fur," who were jeering him before he'd opened his mouth. 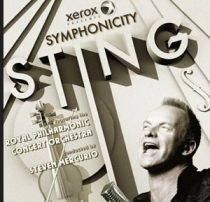 Sting's Innovative 'Symphonicities' Enchants... I've been a Police and Sting fan since the early 80's. The object of my affection and adoration has not changed since I was in seventh grade. Like a fine wine, Sting has aged, well, very very well.